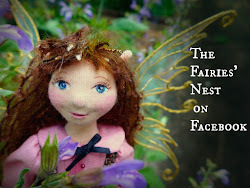 The Fairies Nest - OOAK Cloth Dolls & Fiber Fantasies: A Lovely Surprise! Saturday was a long day...a long day at the end of a very long week. It was a week of non stop excessive heat, nagging illness, looming deadlines, and a few tedious commitments thrown in for good measure. Then we had to get up Saturday at what should be an illegally early hour to drive to the mountains to do a College open house. 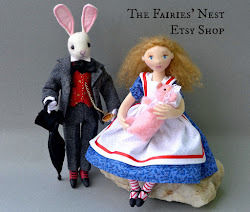 Even though it turned out to be a fun day, we were totally exhausted by the time we finally managed to drag ourselves in the front door of our own home. But then I got ... The Lovely Surprise! 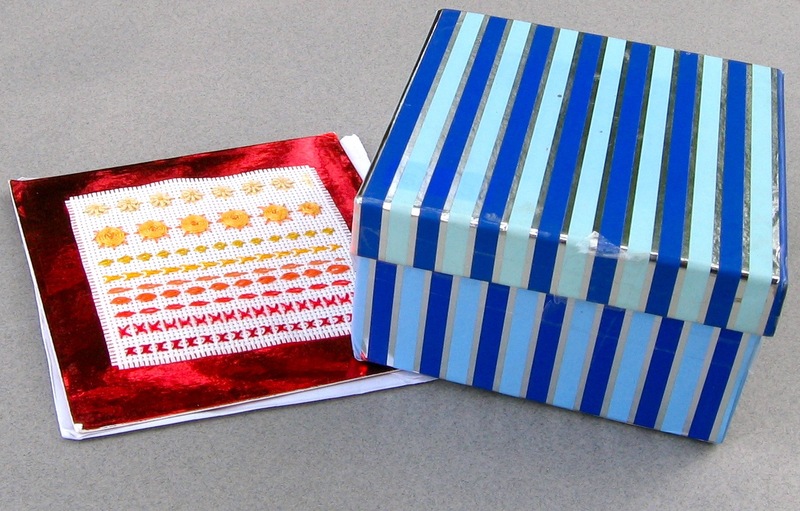 Even the note was lovely with its pretty embroidery ...and what could be in the box? 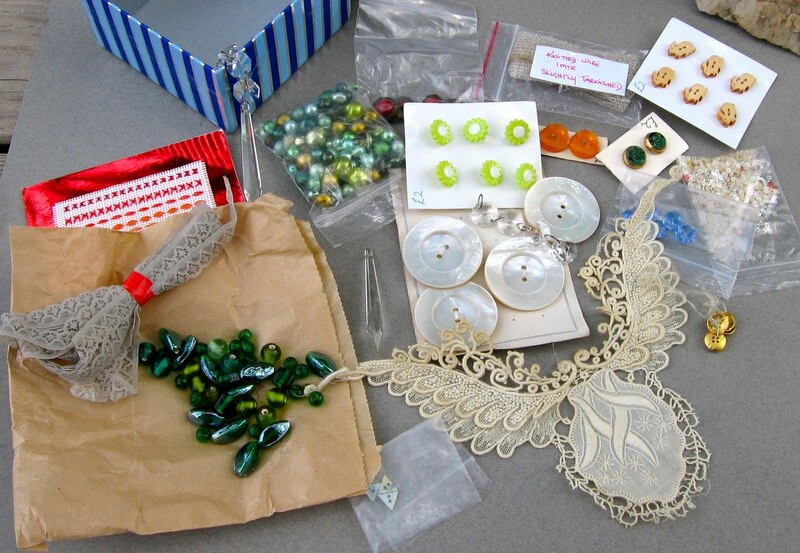 Buttons, and lace, and beads, and crystals...Oh MY! I can't tell you how delighted I was and how much this sweet surprise lifted my spirits. And how cool to think this came in response to my blog post about making Red. Thank you SO much Liz! I'm sending a little thank-you your way too. 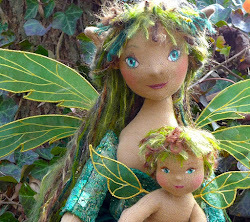 I think this was just the lift I needed to finish up a slew of dolls today, I'll post some pictures tomorrow. The weather here has finally cooled, we might even get some Autumn eventually, and for now I have some more of those dang tedious commitments...but I face them with a bit more cheer. Thanks again Liz! Not to mention a lovely interview at The Nigth garden Project! Love the lace and the big pearly buttons. Glad to see it got to you safe and sound! Hope it's all useful!